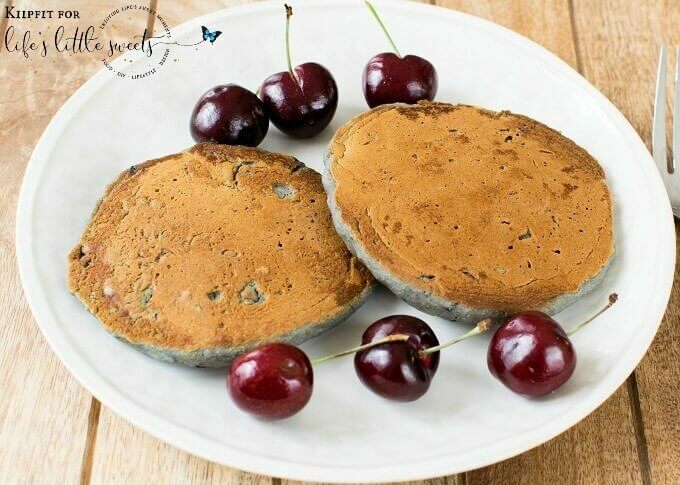 Cherry Oatmeal Pancakes - A Healthy, Vegan Breakfast! 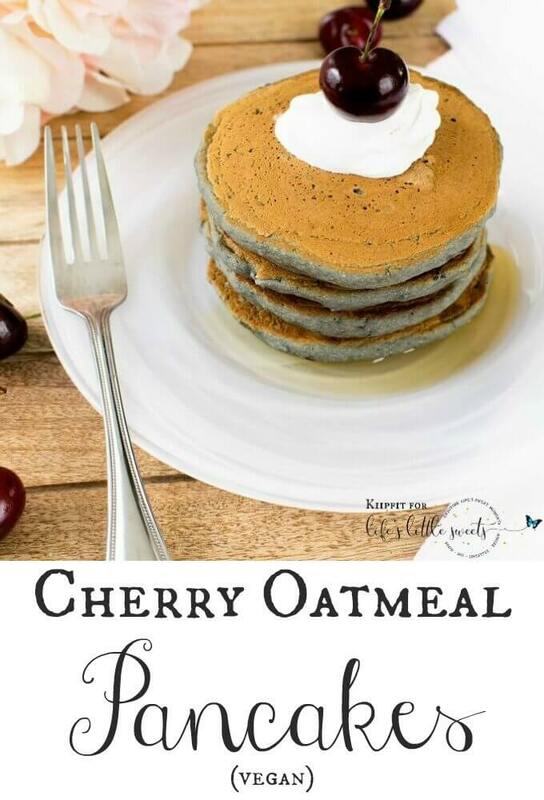 These soft, fluffy and nutritious Cherry Oatmeal Pancakes are delectable to the taste buds. These pancakes are made with real ingredients and are super easy to make. In just few minutes a mouthwatering and family friendly breakfast/brunch gets ready. 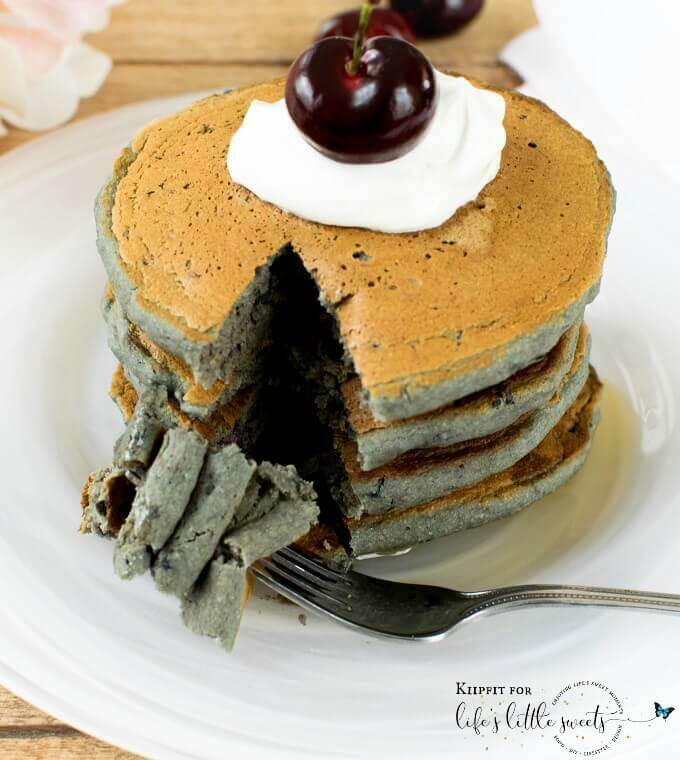 These pancakes are worth devouring every bite and you would crave for more. Pancakes are my family’s favorite morning meal. Therefore, I always try to create a new variety of pancakes. Of course I like to cook them from scratch and hence my pancakes are always made out of fresh and real ingredients. This time I chose cherries for my pancakes. My little one loves cherries and can munch on it all day. So, I got an idea to try Cherry Oatmeal Pancakes. Even though these pancakes look slightly different in color and texture from the regular ones but I must say they turned out outstanding. 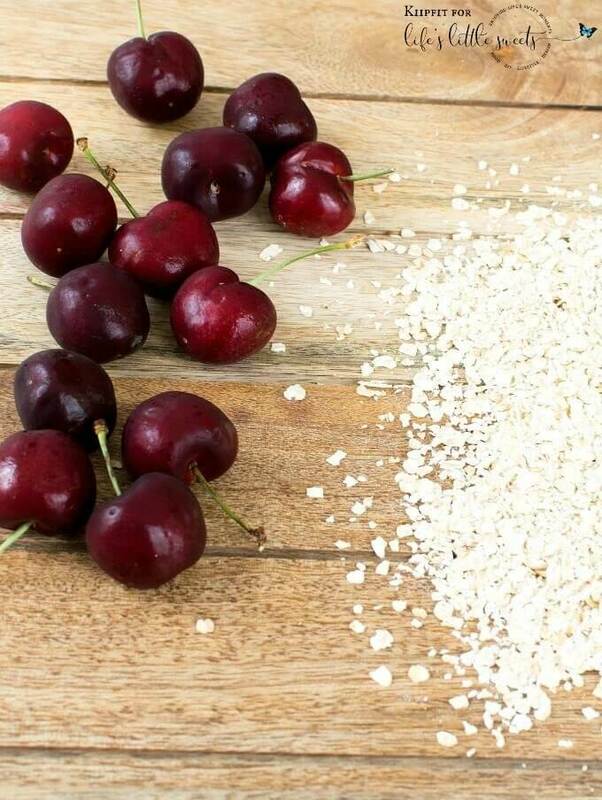 The combination of ingredients blended extremely well bringing out the delicious flavor of fresh cherries along with fiber rich oatmeal. I love drizzling lots of maple syrup over my pancakes so I made its batter little less sweet. This gave an opportunity to literally bathe them in maple syrup. To top it all with a dollop of vegan whipped cream these pancakes were even more desirable. These pancakes are perfect breakfast that satisfies your sweet tooth as well. I love the fact that the pancakes can be enjoyed in any season. They are quick, easy and filling morning meal especially if made out of healthy ingredients. Many a times I make extra batch of pancakes and refrigerate them to be used over the weekdays. I simply warm it up either in the pan or in a microwave and serve it with fruits and syrup to my little one before dropping her off to school. 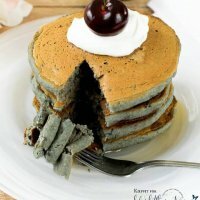 I am sure you will love these pancakes and crave for more and more! 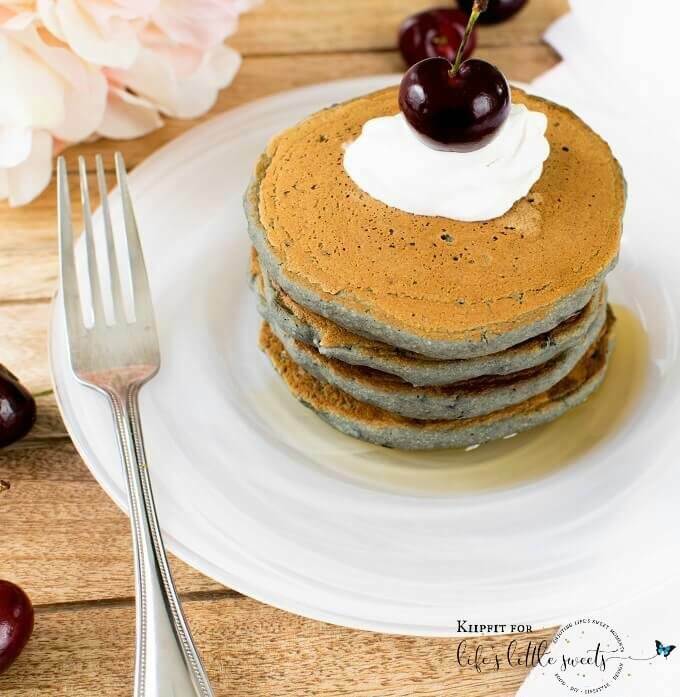 If you like this Cherry Oatmeal Pancakes recipe, you can check out these recipes also on Life’s Little Sweets: Strawberry Buttermilk Pancakes, Potato Pancakes (GF), Dutch Baby Pancake Recipe, Simply Made Crepes Three Ways. These soft, fluffy and nutritious Cheery Oatmeal Pancakes are delectable to the taste buds. These pancakes are made with real ingredients and are super easy to make. In just few minutes a mouthwatering and family friendly breakfast/brunch gets ready. Serve the pancakes warm with lots of maple syrup, fresh cherries and vegan whipped cream. For a thinner consistency of the batter add 3/4 cup of plant milk instead of 1/2 cup. Feel free to use gluten free oat flour for these pancakes.